Paul Elder & Co—What is a tomoyé? The Japanese word tomoe (巴) refers to a comma-shaped symbol. There are hundreds of traditional Japanese tomoe designs. 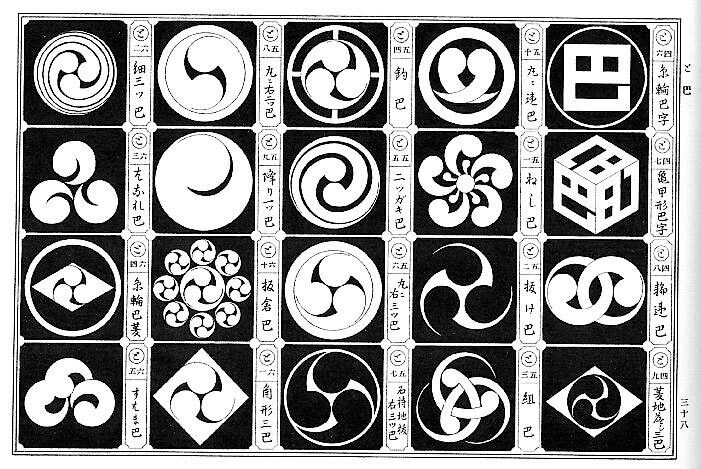 The most common variant is the three-tomoe design called mitsudomoe (三つ巴), which, according to Japanese tradition, creates the harmony of a perfect circle. 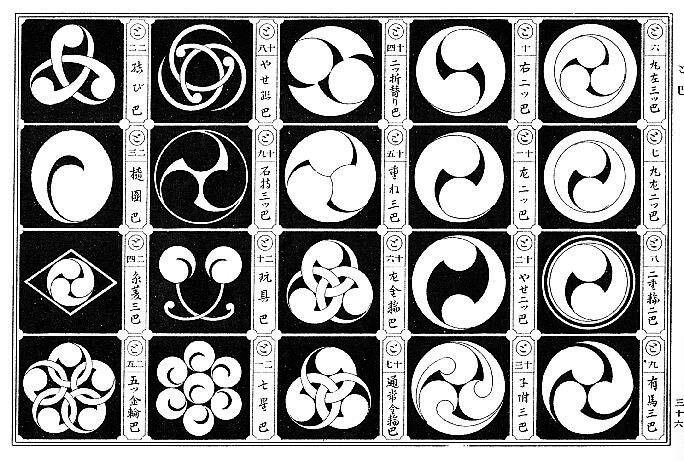 Here are some examples of tomoe, taken from the book Japanese Design Motifs, by Fumie Adachi, Dover, 1972. The tomoe has been a favorite symbol in Japanese heraldry for centuries. Today, the mitsudomoe has become popular with corporations and taiko drum troupes. 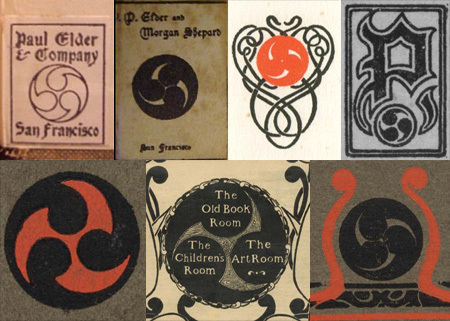 Elder first used the mitsudomoe design in 1900, which he anglicized as the word “tomoyé”, and it became a logo of sorts for him. He used it in many books and magazines over the next two decades. When he hired John Henry Nash to run the new in-house printing shop in 1903, it was christened “The Tomoyé Press”. Previous post: Will you be organizing another exhibition on Paul Elder? Next post: Do any of Elder’s bookstores still exist?